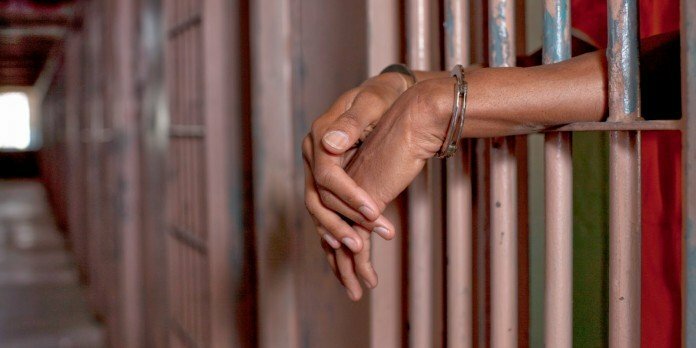 Two persons including a lawyer, Dominic Owusu Sekyere, have been sentenced to total of 12 years imprison by the Accra Circuit Court for defrauding a businessman of $200,000 in a land transaction deal. Lawyer Owusu Sekyere, will serve seven years in prison, while Samuel Yeboah, who goes by the name Albert Kwadwo Coleman, the other convict will serve 5 years in prison. The court established that the two men teamed up with two other people, now at large, to defraud the businessman under the guise of selling a plot of land at Cantonments in Accra to him. The two convicts were found guilty of conspiracy to commit fraud and defrauding by false pretences by the court, presided over by Ms Malike Awo Woanyah Dey. Lawyer Sekyere, who was called to the Bar in 1994, and Yeboah were slapped with seven and five years respectively on the charge of defrauding by false pretence, and five years on the charge of conspiracy to commit fraud. The sentences will however run concurrently. The court also ordered the two men to pay the amount they took from the businessman. Per the facts of the case as presented by the prosecutor, Chief Inspector Ophelia Denteh, the businessman and complainant, Mr Ato Hamilton, was looking for land to buy. In June, 2014, Yeboah contacted Hamilton on phone that his girlfriend who goes by the name Dr Jennifer Jane–Brown Aryee (not her real name) had five plots of land at Cantonments for sale. Yeboah told Mr Hamilton to contact one John Arthur alias Amoah who was the agent for further discussion. Mr Hamilton was then led to the parcel of land at Cantonments by Amoah. He demanded documents covering the land, which were provided to him by Amoah, and then went to the Lands Commission to authenticate the information. At the Lands Commission, it came out that Dr Jennifer Jane–Brown Aryee (the real one) was the rightful owner of the land. Mr Hamilton unknowingly met with Dr Brown Aryee (the fake one), who priced the land at $2 million. The fake Dr Brown Aryee then demanded an initial deposit of $200,000. Lawyer Sekeyre’s role After the price of the land was settled between Mr Hamilton and the fake Dr Brown Aryee, Lawyer Sekyere contacted Hamilton that he was lawyer for Dr Brown Aryee (fake one), and therefore, all payments ought to be made through him. On July 4, 2015, Dr Brown Aryee (fake one) took Mr Hamilton to Lawyer Sekyere, who prepared a contract for the sale of the land, which was signed by the two parties, and also collected the $200,000 on behalf of his client. According to the prosecution, a week after paying the money, Yeboah called Mr Hamilton and demanded Gh?3,000, which Mr Hamilton paid. “Two weeks after paying the money Lawyer Sekyere started putting pressure on Mr Hamilton to pay another $300,000 because his client was in need of funds,” Chief Inspector Denteh said. According to the prosecutor, the behaviour of Lawyer Sekyere and his accomplices made Mr Hamilton suspicious. He (Hamilton) therefore investigated the case and realised that he had been defrauded. “It came to light that the rightful owner of the land (the real Dr Jennifer Jane–Brown Aryee) was outside the country and that, she had no idea of the sale of her land in question,” the prosecutor said. Mr Hamilton reported the matter to the police and Lawyer Sekyere was arrested. He (Sekyere) admitted the offence, but said he could not trace his accomplices. The lawyer, the prosecutor added, also said he gave the money to the fake Dr Brown Aryee. “Police investigations revealed that Lawyer Sekyere, Yeboah, Amoah and the fake Dr Brown Aryee conspired to defraud Mr Hamilton,” Chief Inspector Denteh stated.